You already know that Great Ideas is focused around fostering competencies of innovation, but did you also know that physical movement is part of the puzzle? Getting moving stimulates the brain—namely the hippocampus—in some important ways. Those benefits are associated with things like improved divergent and convergent thinking, which are considered the two components of creative thinking and perfect for maximizing your experiences throughout the event. Sunrise activities are held from 7:00-8:00 a.m. each morning, which leaves an hour to shower and grab a bite before program begins at 9:00 a.m. These "cognitive enhancers" are focused around the mind-body connection, making them the perfect way to begin your day with energy and intention. All ability levels are welcome! Enjoy an incredible workout that, which as you can tell by the title, mashes a lot of different types of modalities into a single experience. This experience will be inside, comfortable attire recommended. Whether you’re on top of all the latest dances or a prime candidate to learn the basics, get ready to level up with some new moves. Explore the power of moving while coming together with others through an original modern meets hip-hop choreography. Think you can’t workout due to your busy schedule or frequent business travel? Think again. We’ll practice a few equipment-free exercises you can do right in the comfort of your own home or hotel room. This experience will be outside, so, wear something warm. Rather than dancing the night away, we’re cranking up the tunes and hitting the dance floor instead of the gym with this morning dance party! You’re sure to leave with a big smile and endorphins to burn. Healthy By Association (HBA) convenes a vast online network of high achievers who wish to invest in their health and wellness—for themselves, their members, and their attendees. Most #HBAgoalgetters also work in the association and hospitality industries, so they understand how the pressure of juggling a jam-packed schedule of meetings, events and travel often interferes with maintaining a healthy lifestyle (including nutrition, fitness and wellbeing). As a result, this community is in a unique position to offer encouragement and advice as we all collectively strive to prioritize self-care and seek more balance in our lives. Although the journey may not always be easy, it is worth it. And through it all, HBA stands ready to share in your successes and to cheer you on when the going gets tough. C4 Peforming Arts is an arts education organization in the DC Metropolitan Area where your creative spirit learns to soar. C4 advocates for the awesome power that resides within the heart of all performing arts: a power that can unify, uplift, and inspire people from all walks of life, transcending cultural barriers, and drawing us together as a global community. 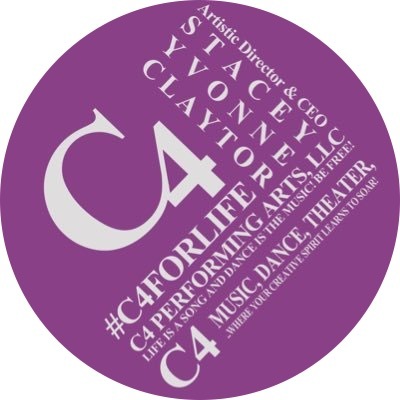 C4 provides educational fine and performing arts programs for youth and adults that encompass the highest standards of excellence and diversity as a reflection of the world in which we live, working diligently to expose people of all economic backgrounds to the beauty of the arts.